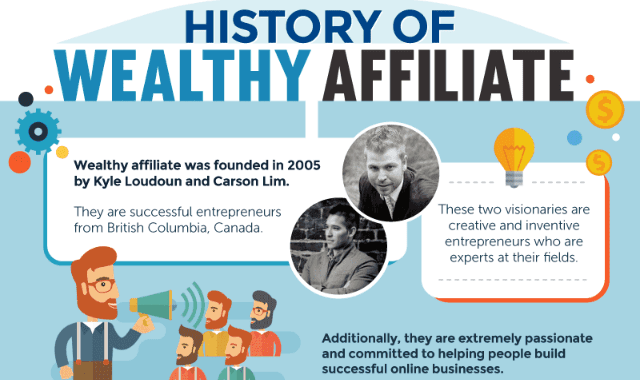 History Of Wealthy Affiliate #Infographic ~ Visualistan '+g+"
Wealthy Affiliate was born on September 10th 2005 and was the brainchild of two internet entrepreneurs from British Columbia, Canada. Kyle Loudoun and Carson Lim started Wealthy Affiliate as a membership site that provided keyword lists to internet marketers. It has evolved into an incredible platform for helping people to succeed online.